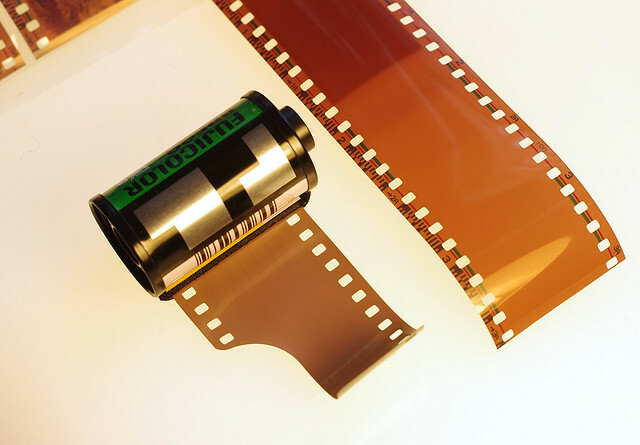 DX Encoding (Digital indeX), or DX Coding is a marking standard for 35mm (and APS) film that facilitates automatic sensing of the speed, number of frames and exposure tolerance of film. In its 35mm implementation, the most notable feature is a Camera Auto Sensing (CAS) code which cameras may detect electrically via 10 squares on the cartridge either left bare conductive metal, or printed with an insulating black coating. The cartridge also bears an optical barcode, uniquely identifying the manufacturer and emulsion type. The film itself is also exposed with a latent-image barcode along one edge which identifies the film type and the frame numbering, for the benefit of automated printing machines. DX Encoding on 35mm film was introduced by the International Imaging Industry Association (I3A) in the 1980's, APS adopted the technology when released in 1996. DX Encoding at Wikipedia with CAS codes decoded. This page was last edited on 20 December 2016, at 06:23.